Your organization is not out of the box so why should the software solutions you need be. 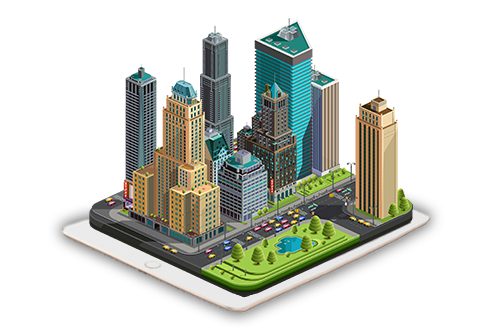 Maintain and Manage your entire facilities portfolio straight from the palm of your hand from maintenance through quality assurance, safety, security, and janitorial. Raxar Technology is proud to deliver a robust and intuitive solution that will streamline processes across all areas of your organization. 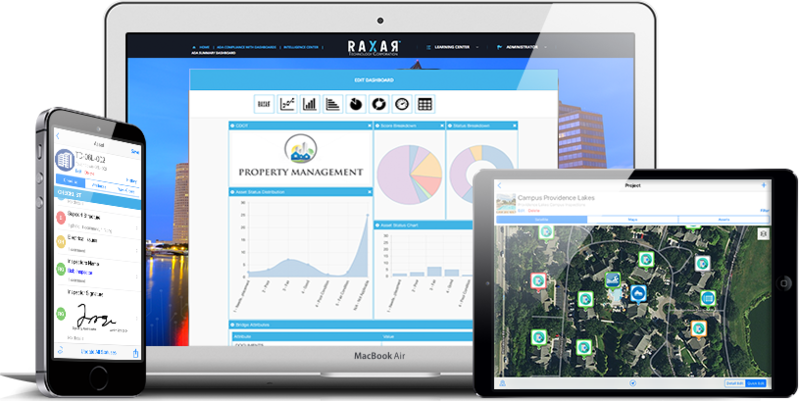 Collaborative and easy-to-use, Raxar offers an efficient and effective way to manage your facilities portfolio from the office or on the go. 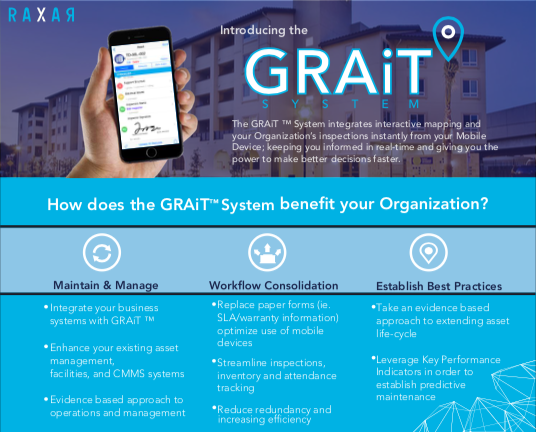 Gone are the days you need to rely on paper, spreadsheets or legacy corporation software to help the various departments within your company keep up with quality, maintenance, vendors and tenant interactions. 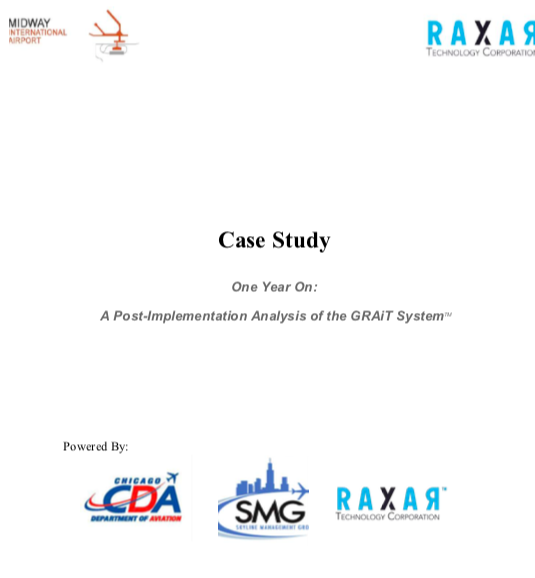 How Raxar can help your facilities management processes? Our Facility Management Suite will transform your business into a well-oiled machine that operates efficiently, maintains high quality and achieves goals faster. Whether its tenants, vendors, assets, inspections, maintenance or intelligence, our platform will give you the flexibility and power you need across your workflows. 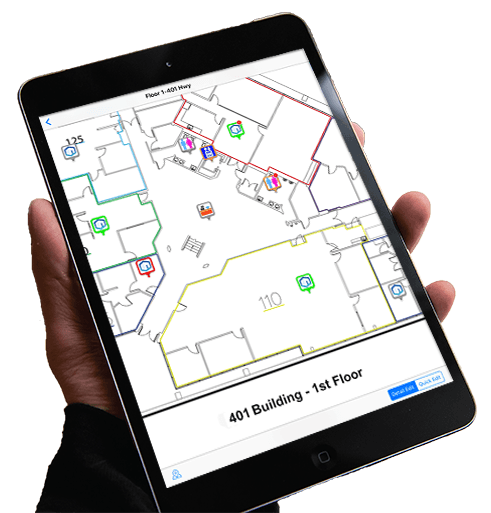 Facility management software that helps your team be efficient, accurate, and smarter. Learn more about the software that is being used by our clients to go from top 15 to Top 10 customer satisfaction ratings in their industry according to JD Power in their first year. Learn more about how one organization increased the health of an over one million square foot facility by 47% in the first year of utilizing our facility management software.